This week was all about Halloween and the kids enjoyed so much taking part of this pagan tradition. Halloween probably originated as a Celtic pagan festival of the dead, and the Irish immigrants, who sailed to North America in the 19th century, took the custom with them and began using the native pumpkins instead of the traditional turnips as they were bigger and easier to carve. They then placed a light in them to ward off evil spirits and to remember the souls in purgatory. 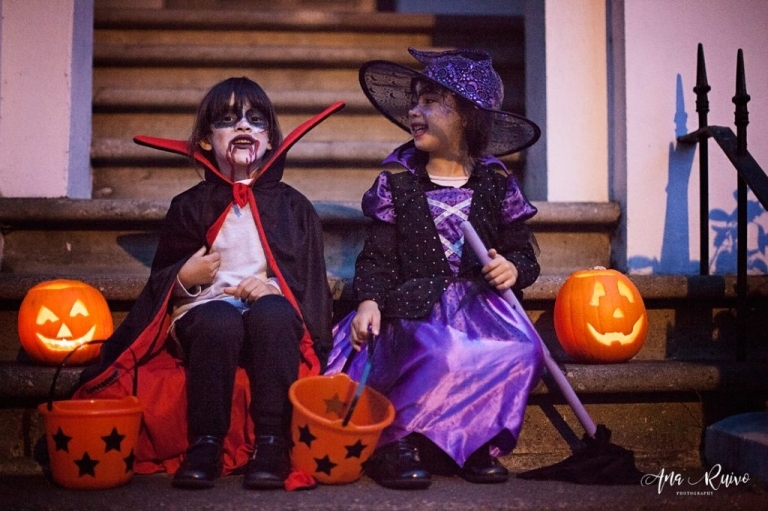 It’s only been a couple of years that Halloween is popular in Notting Hill. US resident families brought Halloween to the neighbourhood for the kids delight. Halloween pumpkins displayed in windows, (regarded as a sign to knock on the door) can be found throughout our streets. Hope you had a lovely and spooky week!